Nicole Hossler started her bar tending career at the young age of 18, at Applebee’s. Nicole has not worked in a corporate restaurant since her Applebee’s days. However, she feels corporate restaurants are a great way to learn about the industry. According to Nicole “Once you have the skills, you can go anywhere and use them”. She had moved to Florida for a while and worked at the Tiki Bar before returning home to Pennsylvania. 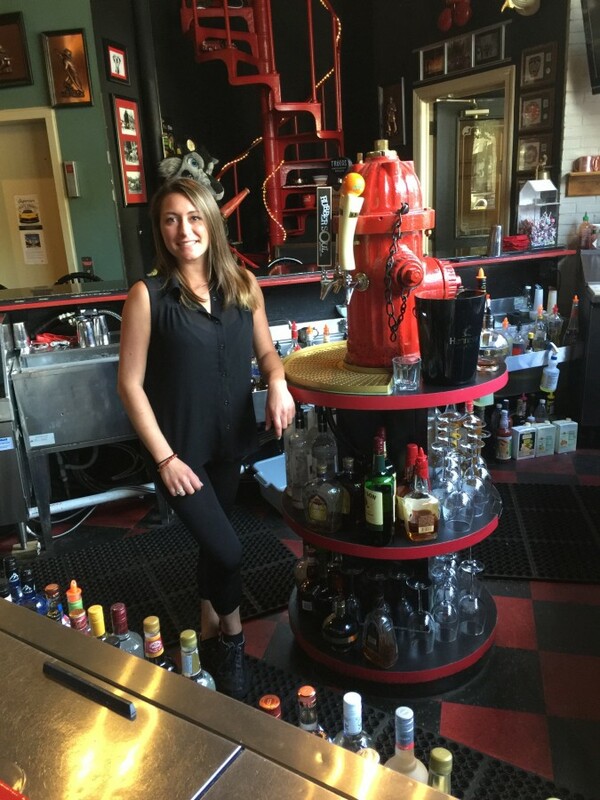 Nicole feels working at The Firehouse Restaurant has allowed her to meet people from all over the county. She has met a lot of interesting people at work. She believes to be successful, a good bartender should be observant, pleasant and if they don’t remember your name, at least they will remember your drink. Nicole has been working at The Firehouse Restaurant for the past three years during the day. “I love our house favorites, Bloody Mary’s and the staple drink, Black Martini”! When Nicole isn’t at work she likes to travel to warm places. Be sure to stop by and see Nicole during the day and have her make one of her ‘house favorites’.